And We So Appreciate Their Kind Words! Lynne and her team were very professional, patient, knowledgeable, and reassuring in our search and eventual close on a new home. Lynne was both buyer agent for our new home and selling agent on our last. Buying/selling a home can be very stressful and Lynne put us at ease and was accessible to do so throughout the process. • You've given me excellent referrals every step of the way ... home inspector, closing attorney, insurance agent, real estate rental agent, etc. • You are an amazing negotiator! • You are supportive and well-informed about every aspect of the home purchasing process. You go out of your way to be available to your clients! • Most of all, you and Tim are just great to work with!! Lynne is the best agent we have ever had. She is simply fantastic! Very diligent, competent, friendly, responsive and always available for all the questions that we had. I have recommended her to many of my relatives and friends and we will definitely continue working with her in the future. Lynne was as pleasure to work with. She guided us through our home purchase with expertise. She answered all our questions and helped us get the most for our money. I would recommend her to anyone looking to buy or sell a home and would work with her again in a heartbeat! We were so lucky she was our realtor. Vijay and Shuree P.
Lynne represented us in the selling of our elderly parents’ house. At the time our parents were going through health issues and we had our hands full. Lynne could not have been more helpful and accommodating, she handled every detail necessary and the made the sale of the house as quick and easy as possible. Her professionalism and knowledge not only helped the fact that it sold in one day, but at a much higher price than we anticipated. When it comes time to sell our home we will not hesitate to work with her again as well refer anyone we know looking to buy or sell their home. My husband and I worked with Lynne from May of 2011 to May of 2012 in our journey to buy our "perfect" home. I honestly think Lynne took us through 50-60 homes. She was endlessly patient and gracious, never once showing impatience or weariness with our seemingly endless process. She was always clearly looking out for our interests, not trying to make a sale. She also proved absolutely invaluable during the negotiation and sale process, educating us, and being the intermediary between us and the sellers. Lynne's tact and firmness (and, more important than anything, her ability to stay calm and reasonable in the face of emotion) on our side made all the difference. She also has a network of *excellent* professionals that she can tap in to -- a terrific real estate attorney, an outstanding home inspector, and more. She is the whole package, and I cannot recommend her enough. 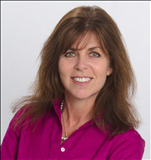 I can't imagine going into a real estate transaction without Lynne, and I recommend her to everyone I know! From the first meeting I knew I was in good hands. The level of professionalism, the knowledge of the market, of what buyers were looking for all impressed me greatly. That, coupled with a friendly and outgoing personality helped to seal the deal on my house. I could not have been happier or asked for more. I would highly recommend this team to anyone looking to sell their home. Thank you again. My Husband and I were first time home buyers and were wary about finding a real estate agent. Upon our first meeting with Lynne and Tim, we knew we were in good hands with our best interest at heart. We had little knowledge about the home buying process let alone what we wanted in our first home. Tim and Lynne showed us numerous homes with the utmost patience and understanding. We also had a long and difficult closing process on our house, which they were both present for every step of the way. They also provided us with great recommendations for a variety of different professionals. I would highly recommend Lynne and Tim for anyone looking to sell or buy a home. Alex and Hagop D.
Tim did a fantastic job in assisting us with the purchase of a new construction home. Tim did a great job helping us to identify various punch list items that needed to be addressed prior to closing. Tim successfully negotiated and ensured that the builder took care of all of our requirements. Tim’s attention to detail and thoughtfulness was essential in throughout the entire purchase process. We would highly recommend Tim for the purchase or sale of your home. James and Maura H.
We have worked with Lynne and her team for the past nine years, firstly as a rental agent and then more recently selling the property in Hopkinton. Lynne was able to market the rental property very effectively and successfully ensured that the property was continuously rented for the full nine years. When it came time to sell the property, we automatically turned to Lynne. As we were living abroad, Lynne and Tim helped us define and then manage the upgrades. Lynne advised on the price and managed a very quick and efficient sale. We would definitely recommend Lynne and Tim anyone looking to rent or sell a property. We are now working with them to find a new property later in this year. Lynne was able to complete a complicated deal for us when in the past we were unsuccessful. It was critical that she knew the Holliston/Hopkinton market as well as she did. We could not have bought and sold simultaneously without her and Tim. Extremely professional and knowledgeable. Thank you!